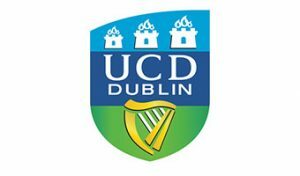 University College Dublin (UCD) has its origins in the mid-nineteenth century under the leadership of the renowned educationalist John Henry Cardinal Newman. Since its foundation in 1854, the University has flourished and made a unique and substantial contribution to the creation of modern Ireland, based on successful engagement with Irish society on every level and across every sphere of activity. The Electricity Research Centre, within UCD, examines key technical, social, and economic challenges in the integration of energy systems. The group leverages foundational expertise in electric power systems to support its diverse research portfolio spanning consumer behaviour, markets and policy, building energy use, renewable energy technologies, the energy-water nexus, and more. The Electricity Research Centre engages in robust industry collaboration to execute a dynamic programme of global partnerships and research initiatives that promote enhanced energy performance as sustainably, reliably, and affordably as possible – a challenge across the world. The impact of having requirements/markets for certain flexibility services in place on the evolution and cost (longer-term) of the power system is analysed. Models can be used to determine how system evolves in optimal way to fulfil system flexibility needs. These results can be contrasted to solutions where no explicit technical restrictions are imposed in flexibility when considering investment, and only in operational terms requirements are being imposed. Final costs will be higher (due to for instance higher levels of RES curtailment) than in the first case and differences give indication of putting requirements in place early (perfect market). Detailed operational market options as described in the following sections, consequently have an impact on the investment decisions and evolution of the power system. The impact on islanded system (Ireland) as well as on the pan-European system will be investigated. WP10: 10PM – Task contributor – task 10.2 leader, spread over all tasks, – high level advisory role from UCD.